4 Corners Cannabis, are a Colorado-based company whose “boutique” CBD products come straight from their own farm. 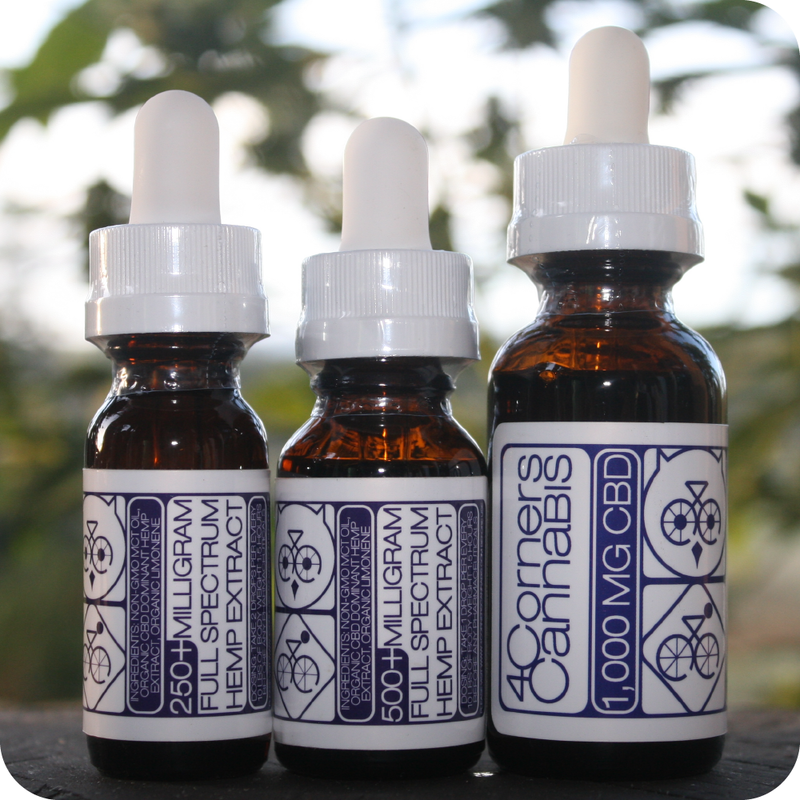 Their extraction process is also unique, in that they use an Ethanol process that keeps the bonds of the plant fully intact, providing what they call a “Complete Spectrum CBD Oil.” They offer 3 sizes of bottles/tincture: 250mg / 500mg / 1000mg. Their prices are definitely on the high end, starting at $60 (£43) and going up to $200 (£142) for the 1000mg bottle. But we believe you are getting what you pay for, as this is currently considered to be one of the best products in the industry for CBD Oils. Add to your favorite beverage or drop straight in your mouth, our “Blue Label” is everything you expect from a top quality tincture. This is the perfect product for those looking for long term relief and is excellent for those long stressful work days. We only use the highest quality ingredients which results in a product that tastes lightly of coconut with a hint of hash oil and oranges! Consume 1.5 hours before any pharmaceuticals that metabolize in the liver (roughly 60% of all meds) to avoid any interactions. Just as people may fail drug tests from consuming poppy seeds, hemp products may also cause false positives when consumed. The chances are low, but increase if you consume large portions each day over time. Please discuss this matter with any people of authority that may be giving you a drug test in the future. This is not a marijuana product. *Our products will NOT get you “high”. CBD dosing is not “one size fits all”. The below guidelines are general dosing guidelines. After a few days of consumption, it is best to either raise or lower the dosing to fit your needs. It is always best to take the least amount that works for your needs. Effects can typically be felt within 30-90 minutes. If you need a faster onset of relief, then you may want to think about trying a vape product as it doesn’t need to be metabolized in the liver for it to reach the blood stream. *Store at room temperature and out of direct sunlight. If you store at cold temperatures it will make the liquid cloudy. *A small percentage of the population has a unique liver metabolism function in which they are extremely sensitive to alcohol. If you feel you may fall into this category, then we recommend starting with a drop or 2 as our general dosing instructions may be too strong for you. *As for the number of mg, a higher mg bottle will last you longer.